Fresh brewing methods make sour beer the new old thing. Until the recent craft beer revolution, the beer flavor profile has consisted primarily of malt, hops, yeast, and alcohol. It’s a range of elements that makes for wonderfully diverse flavor profiles. But in the last few years, a new component in the beer taster’s expected spectrum has emerged: Acidity. You can read that as “sour” beer. Actually an ancient category that can be traced back to brewing traditions of northern Europe and Belgium in particular, sour beer has gained steam in the craft beer renaissance in the last decade. The beers are made tart and tangy primarily by the work of lactobacillus, which creates lactic acid and is the same genus of bacteria used in yogurt making. Locally, Russian River Brewing Company has been pivotal in popularizing sour beers. The Santa Rosa brewery uses old wine barrels to age their beer. Inhabited by the right assemblage of bacteria and wild yeasts, the maturing beer can turn funky in a delightful way. The process takes a long time, however—at least months and sometimes years. It is also risky, since the bacteria that transform the beer can potentially escape from the barrels and infect other brews not meant to be face-twistingly sour. As a result of these conditions, sour beers like lambics are generally expensive, often $20 or $30 for a 750-milliliter bottle. But this is changing. A new method of brewing sour beers eliminates the enormous time commitment and infection hazards of making them the traditional way. It involves no barrels or long investments of time and space. The beer is boiled immediately after the souring takes place, sterilizing it and eliminating the contamination risk. Lagunitas Brewing Company and Third Street Aleworks have been dabbling in pre-boil souring techniques. So has Anderson Valley Brewing Company in Mendocino County, whose lightly acidic Blood Orange Gose is made by a method called “kettle souring,” in which the beer is soured in the brewing tank. This reversed order—that is, souring the beer and then fermenting it—is what makes pre-boil souring such a fast process. In barrel souring, the beer already has alcohol, which dramatically impedes the activity of lactobacillus. Cellaring conditions are usually quite cool—an environmental factor that slows the work of the bacteria so that it takes months or even years to achieve the desired lactic acid levels. But in kettle souring, the lactobacillus culture—usually purchased from commercial labs in liquid form—is added to the beer before it contains alcohol. This so-called wort is also kept lukewarm—more than 100 degrees Fahrenheit. These are perfect conditions for Lacto, as brewers affectionately call the critters, to thrive. The target pH level may be reached in as little as 15 hours, though sometimes it takes a day or two. After the unfermented beer has been turned sour, it is boiled. Then the beer is fermented as usual. It is a fast, safe, efficient process that can cut the price of sour beer from $6 or $7 for a small pour to $4 or $5 for a full pint. But Laverty has tried a method called “sour mashing”—another pre-boil, fast-tempo souring method. Having discussed the virtues of kettle-soured beer with other experienced brewers, he plans to make one this autumn. For some beer-lovers, there is a drawback: Kettle-soured and sour-mashed beers, they say, just aren’t as good as barrel-aged sour beer. The brews are simpler and more one-dimensional in flavor in part because the beer doesn’t make contact with wood, which itself adds flavor. The simple absence of time means there is less opportunity for biochemical development in the beer. Finally, barrel aging provides a broad spectrum of microbes—not just Lacto, but also brettanomyces yeast and pediococcus bacteria, which may impart scents of leather, horse, hay, wood, and soil—that is absent from kettle souring, which relies almost solely on Lacto. 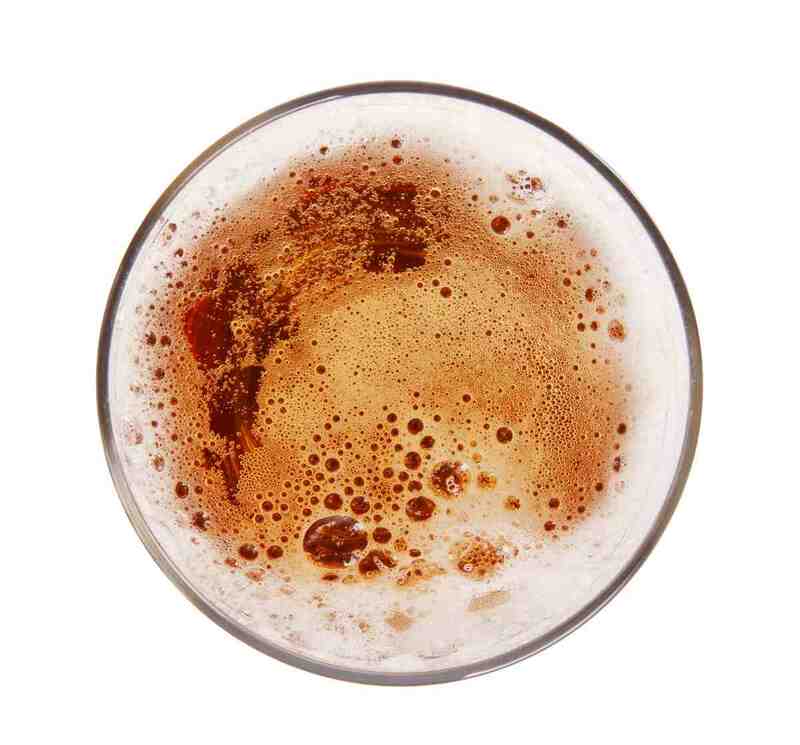 But the simplicity of flavor in a kettle-soured beer suits many brewers. “This makes kettle sours a good way for us to play around and experiment and introduce the flavors to customers and maybe eventually brew more serious sour beers in the future,” Laverty says. Even Russian River’s owner Vinnie Cilurzo, famed for his barrel-soured beers, vouches for fast-brewed, pre-boil sours. He sees the technique as a great tool for introducing sour beers to drinkers who may not be brave enough to handle the rough edges and deep complexity of a barrel-aged sour.